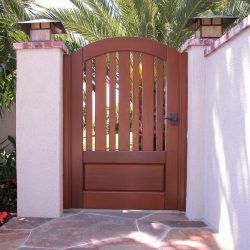 Below you can browse through a collection of some of the Premium Wood Gates that Garden Passages has designed for our customers. 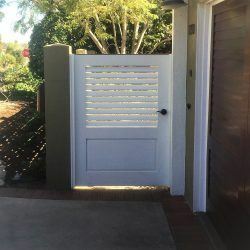 You can also visit Garden Passages on Pinterest to review more examples and explore some of the recent projects Garden Passages has created for our customers. 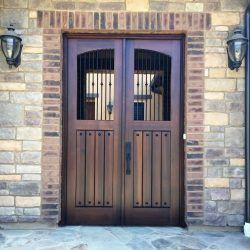 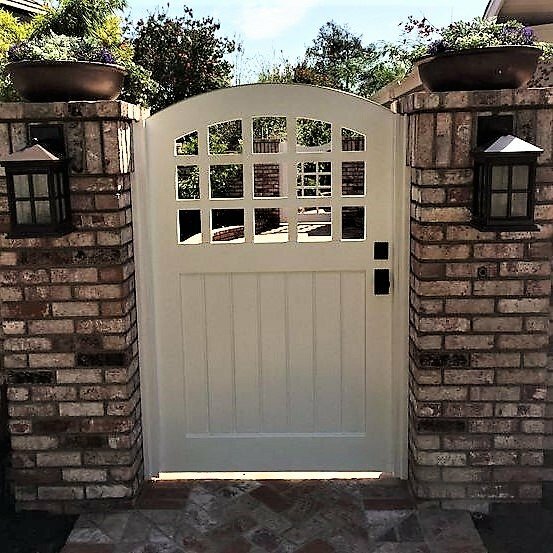 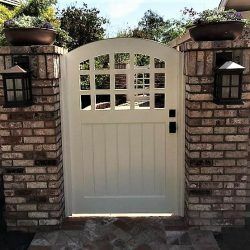 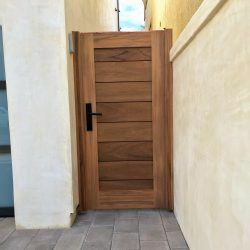 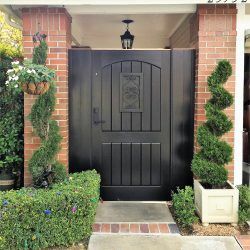 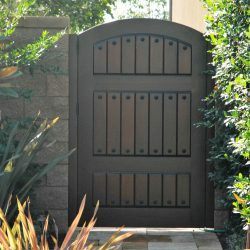 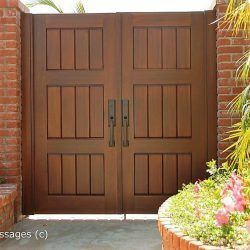 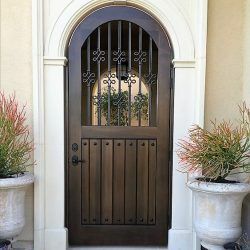 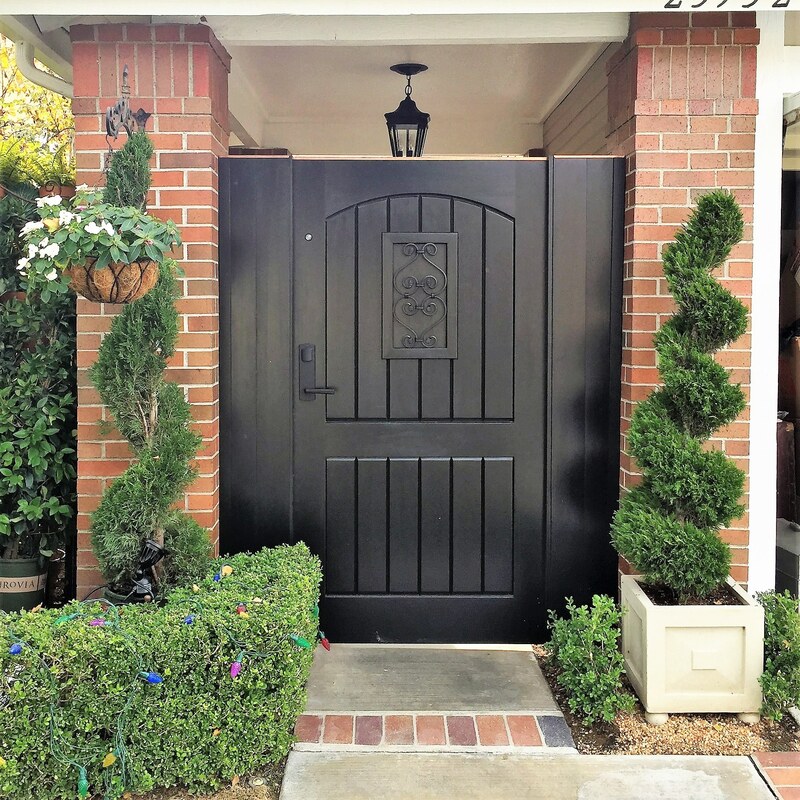 These solid wood gates can feature 1 3/4″ to 2 3/4″ thick frames as well as our standard 3/4″ tongue and groove body, or our signature 1″ true thick sculpted and beveled body. 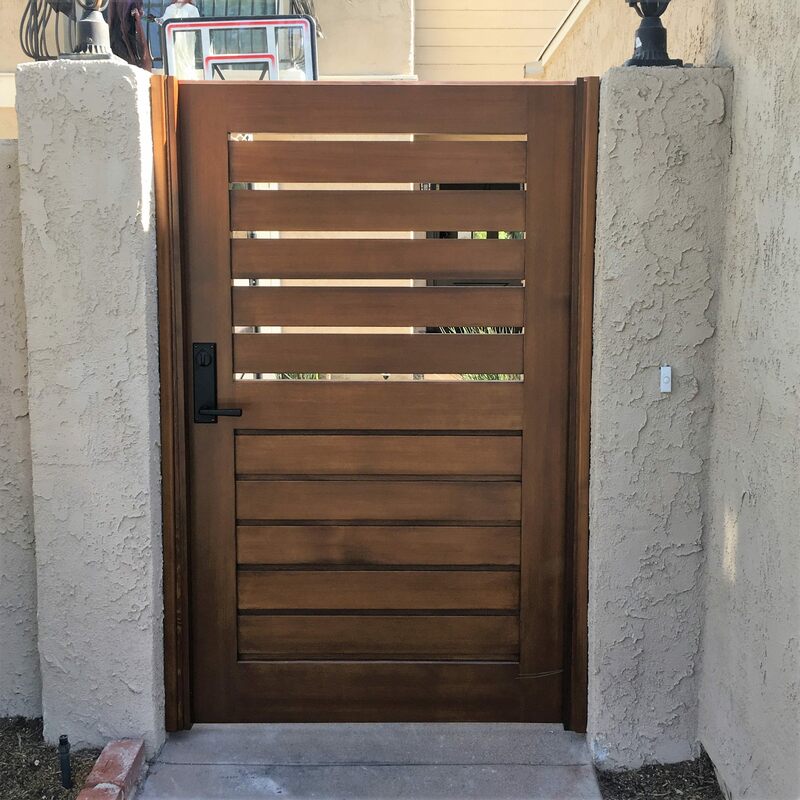 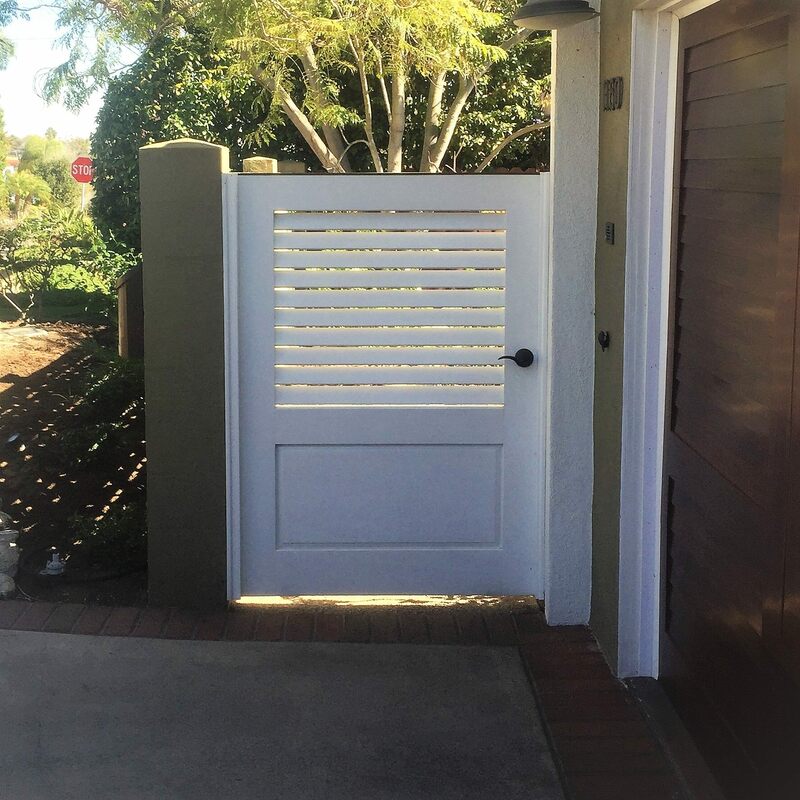 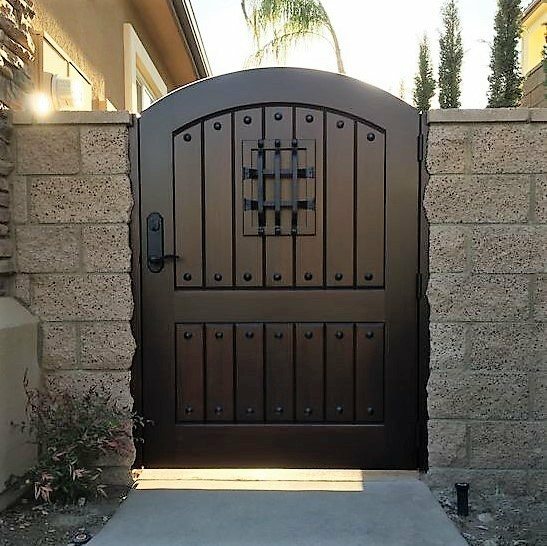 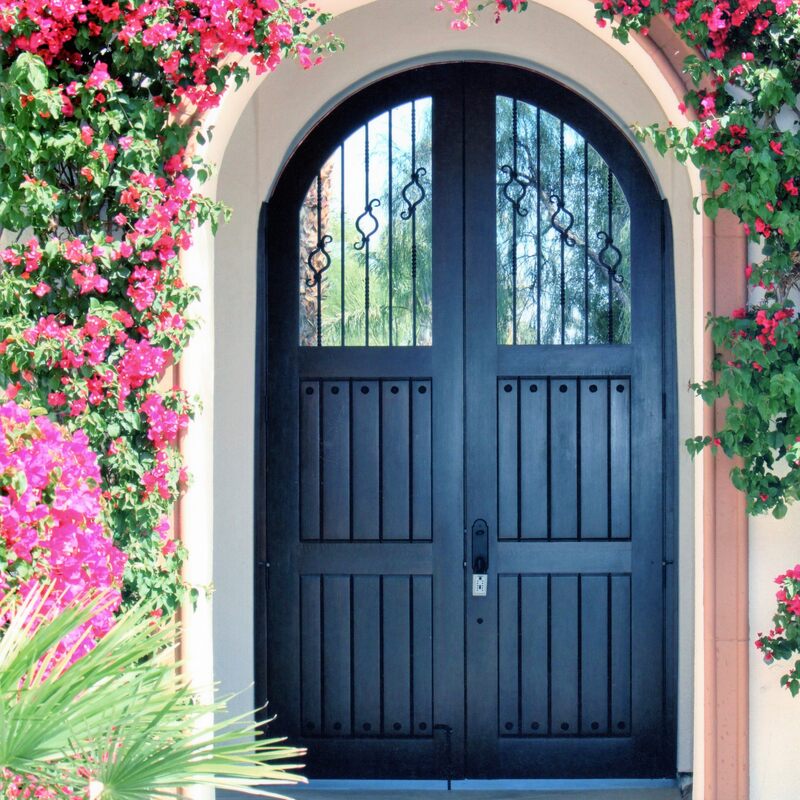 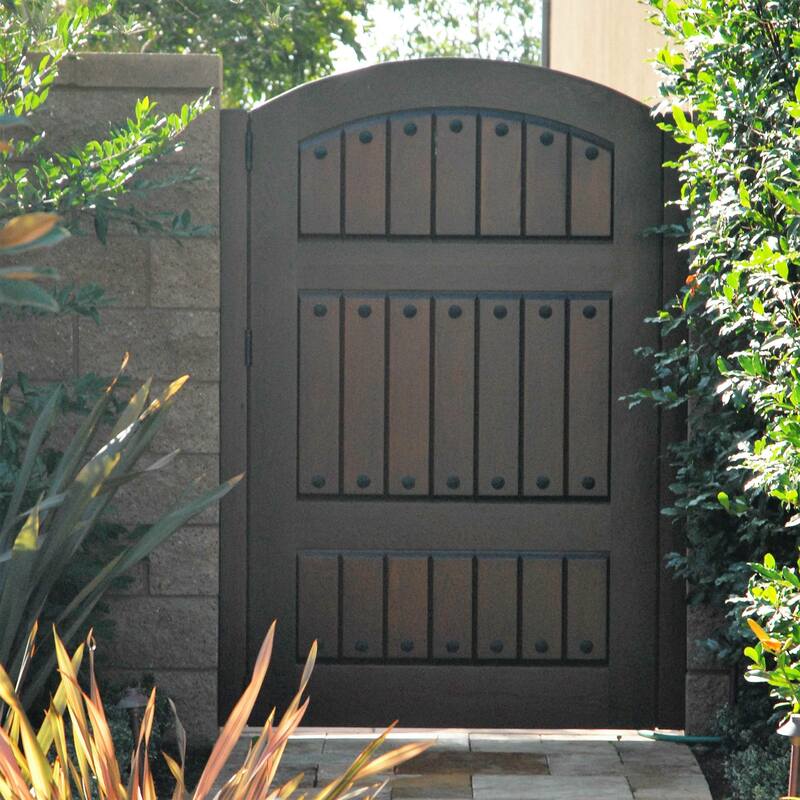 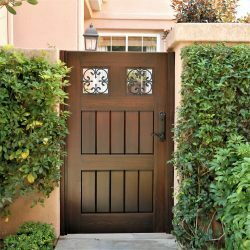 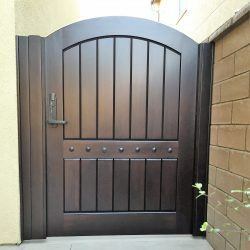 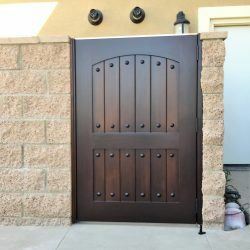 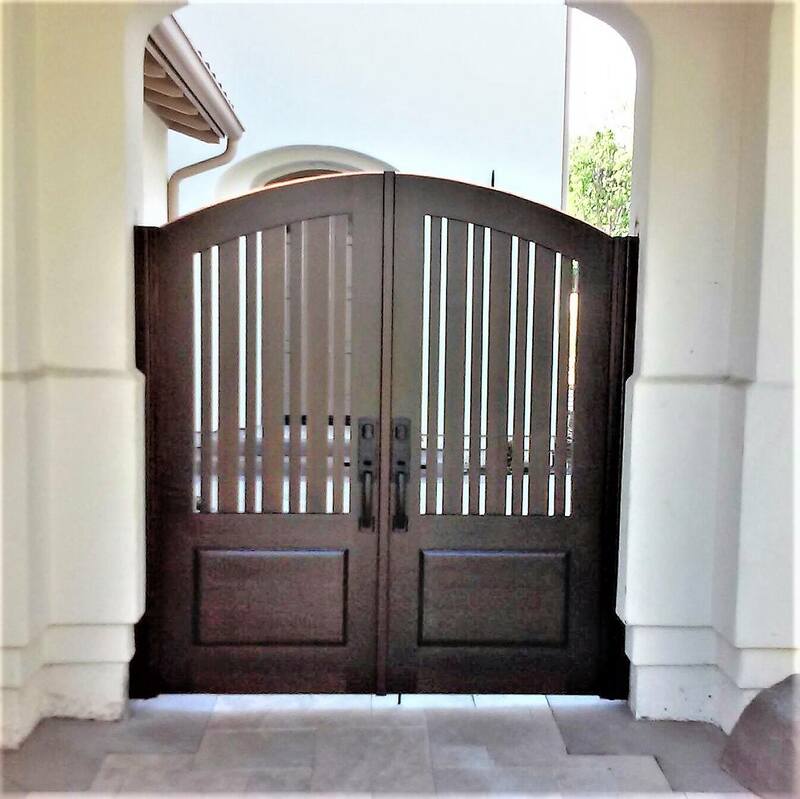 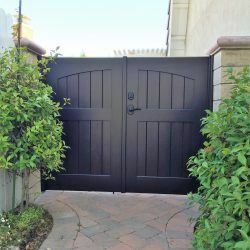 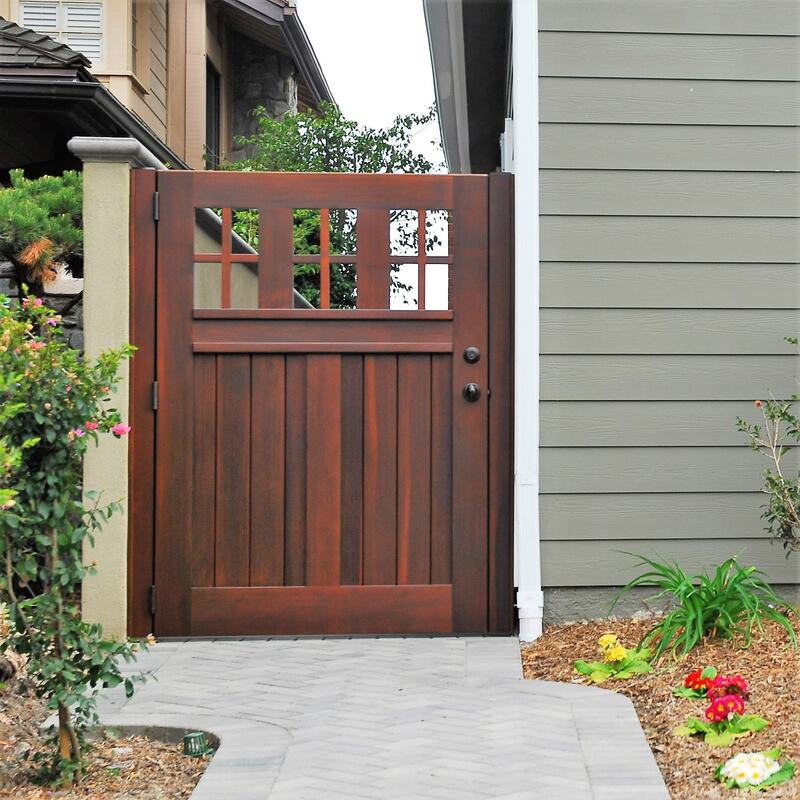 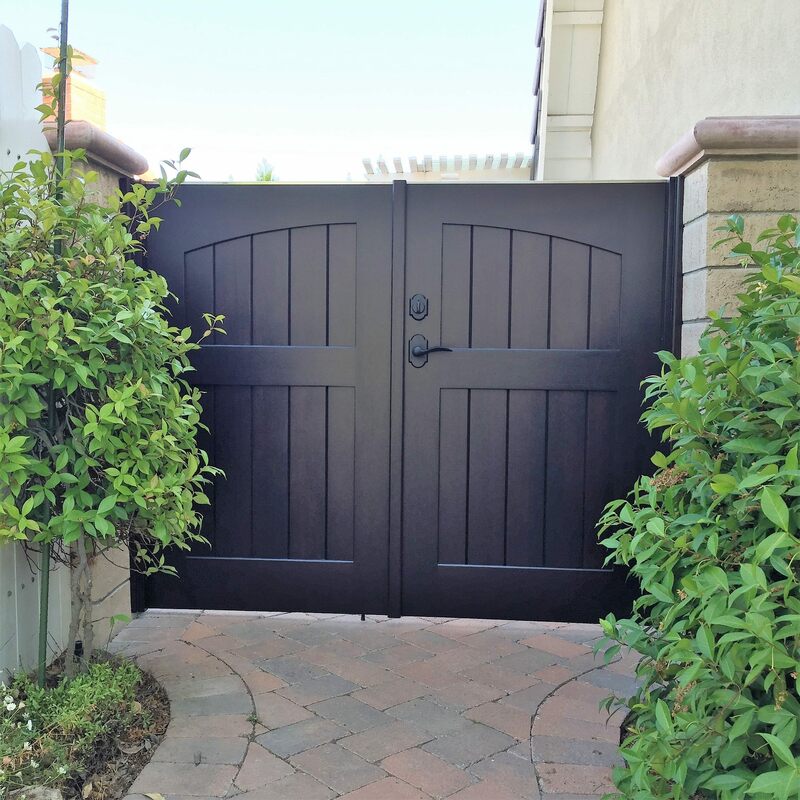 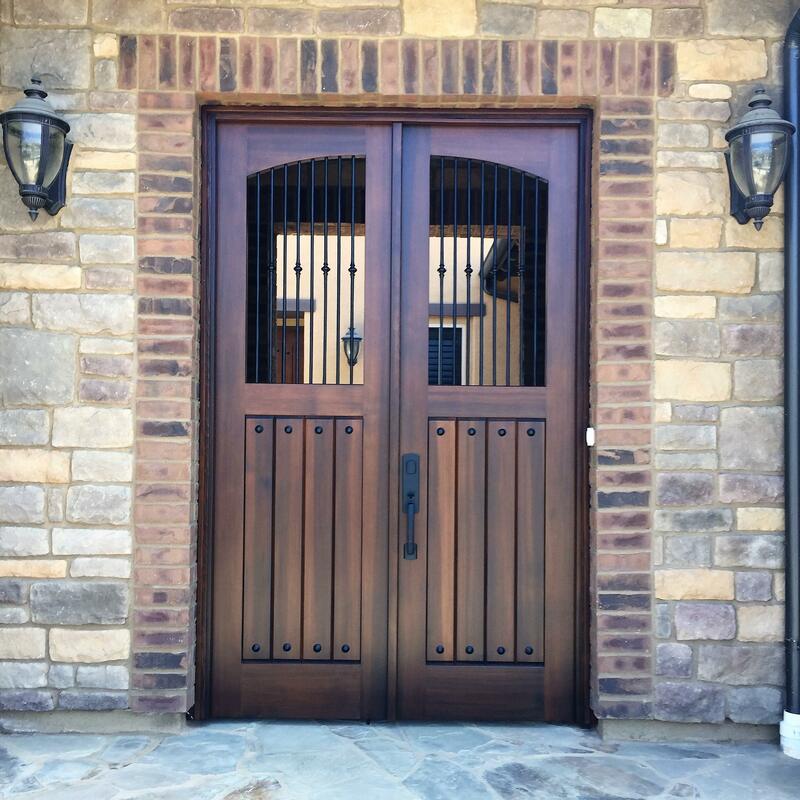 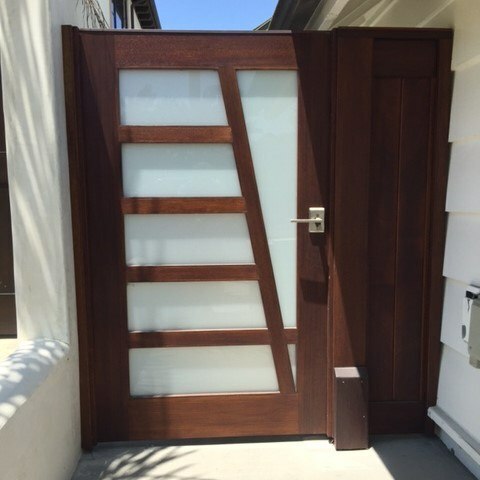 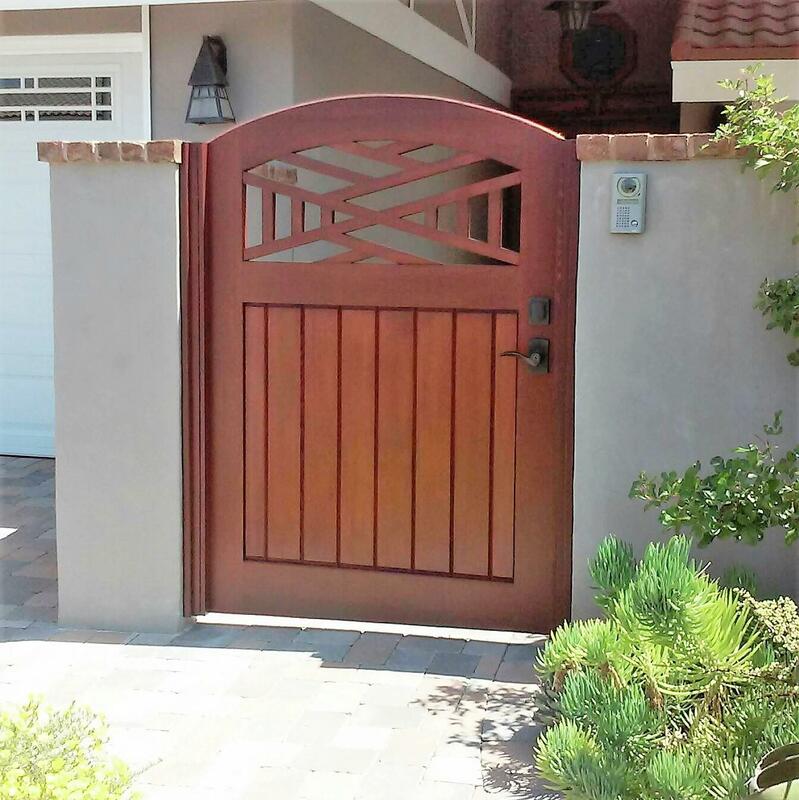 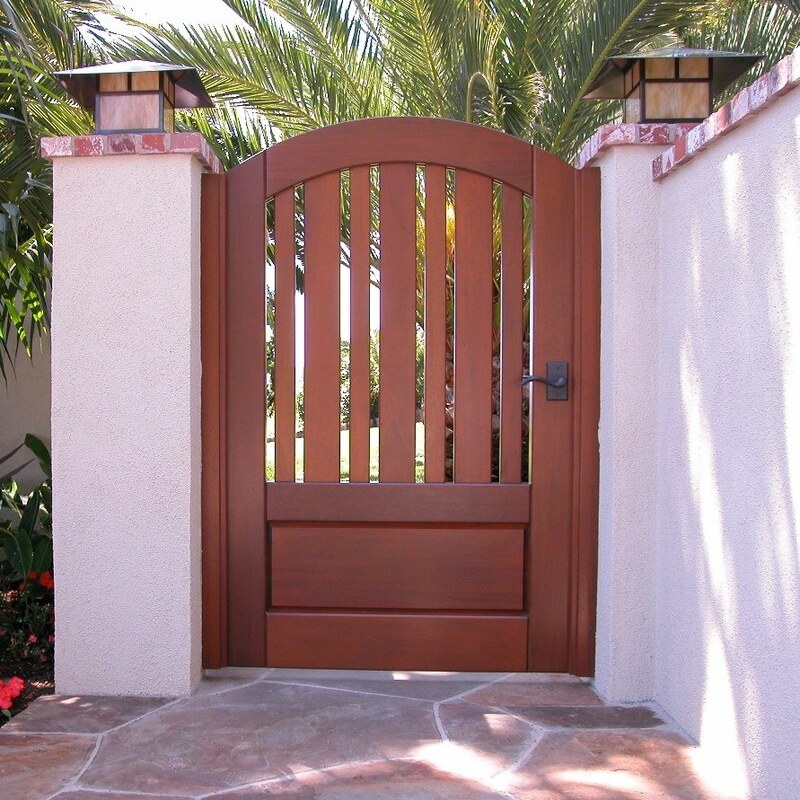 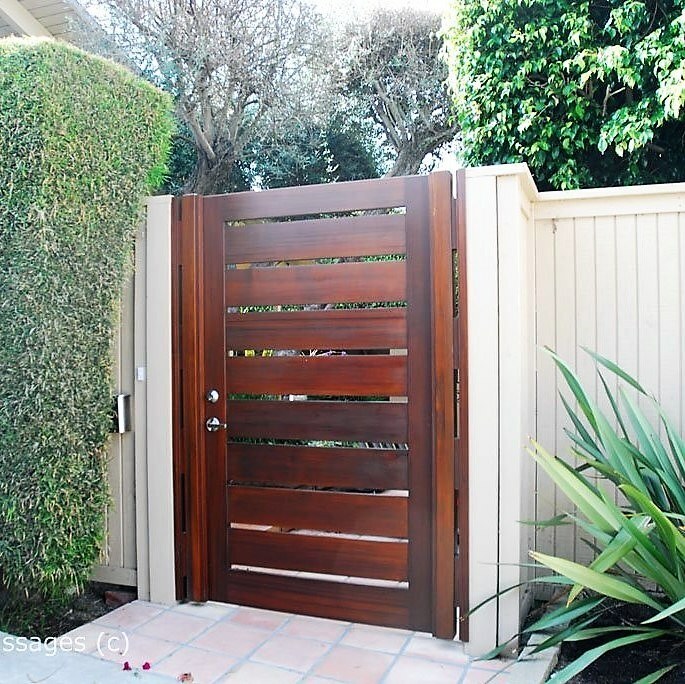 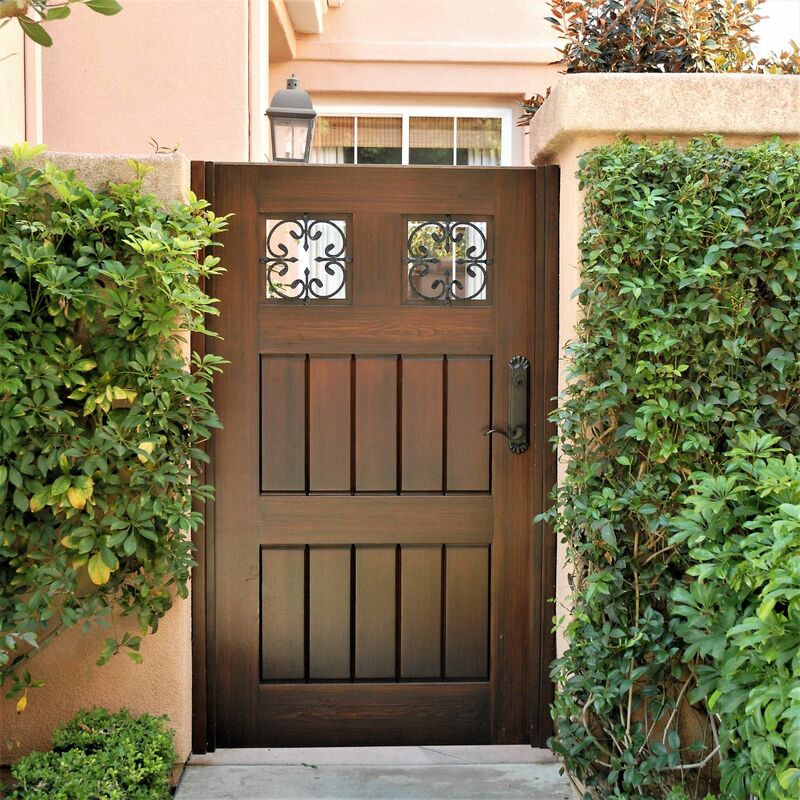 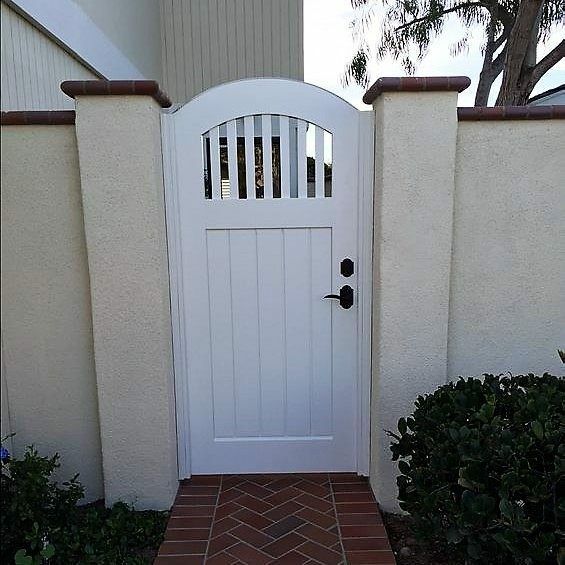 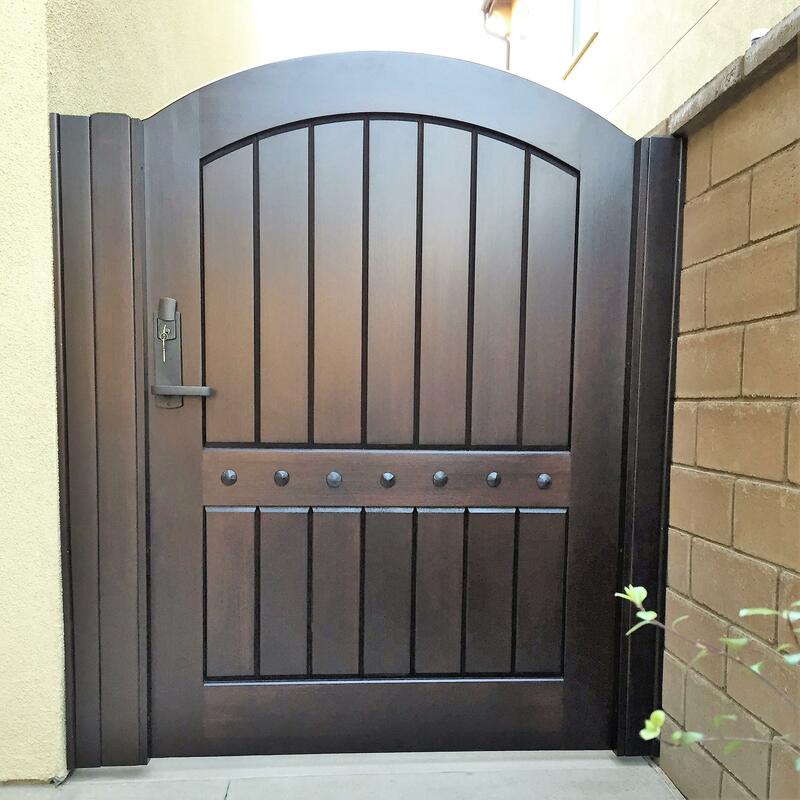 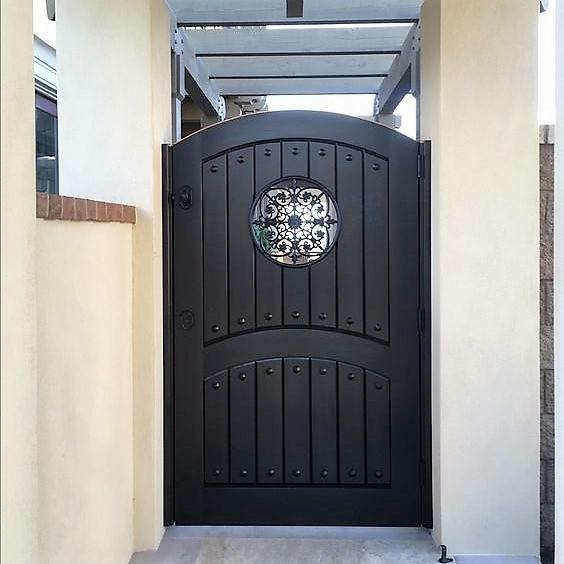 Our Premium Wood Gates include a beautiful combination of deep penetrating stains and clear coats to insure the best protection against the elements. 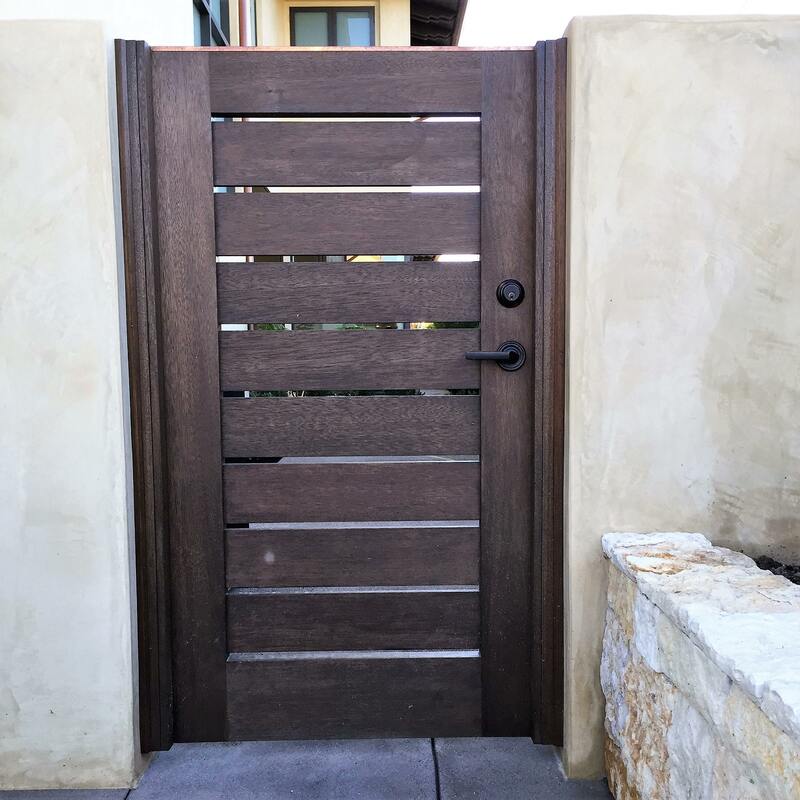 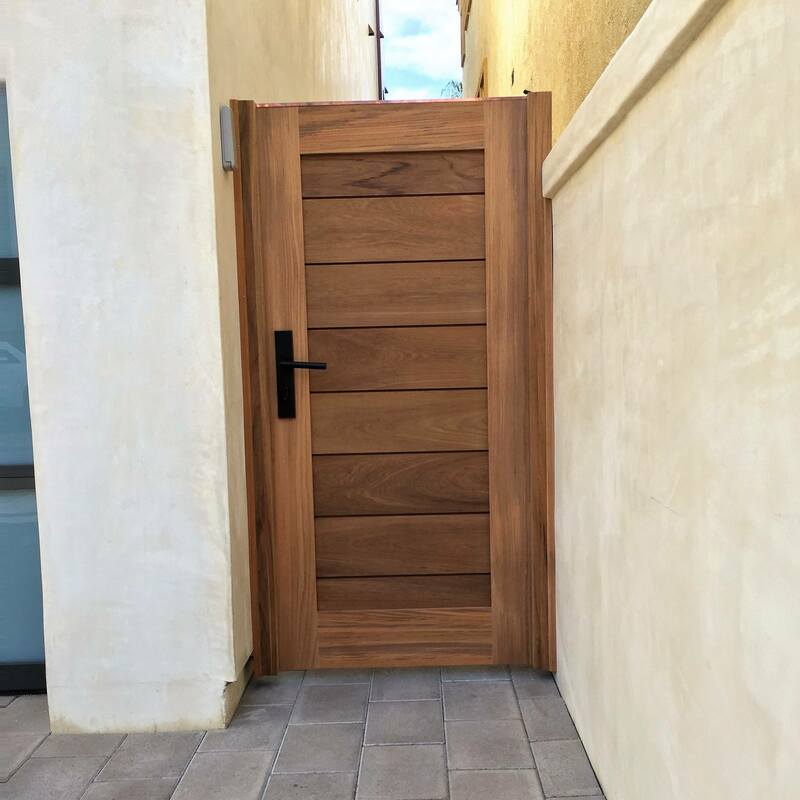 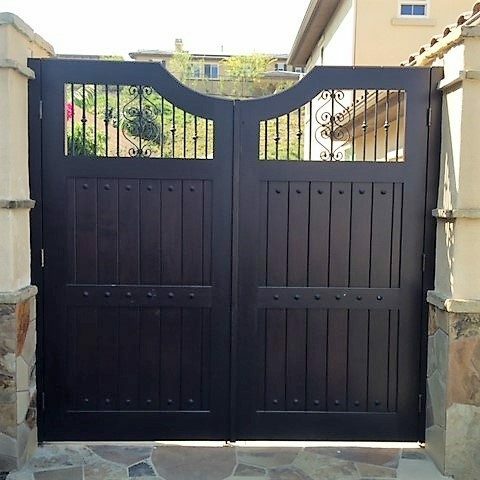 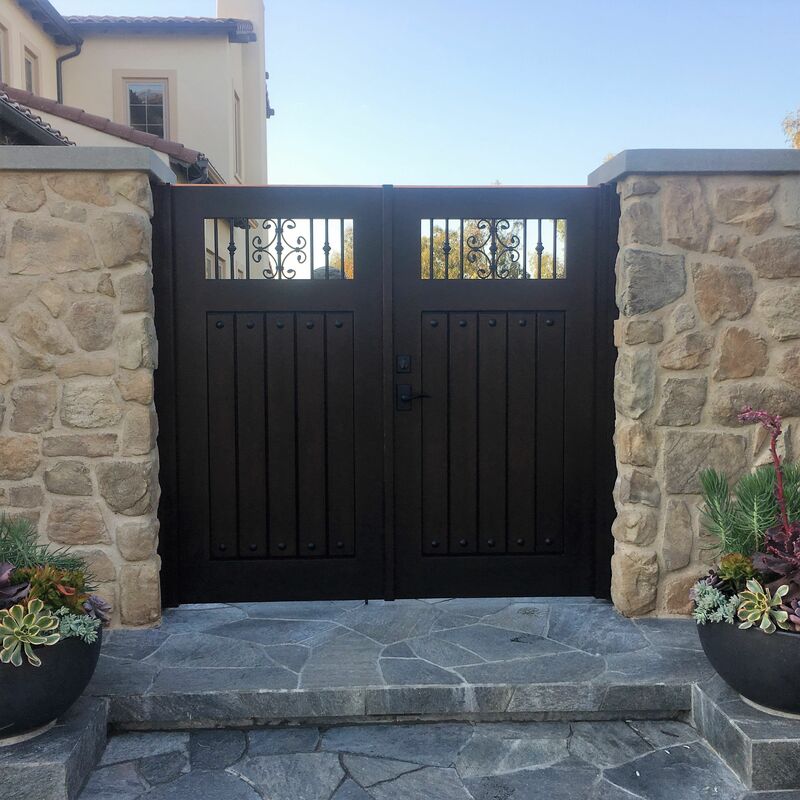 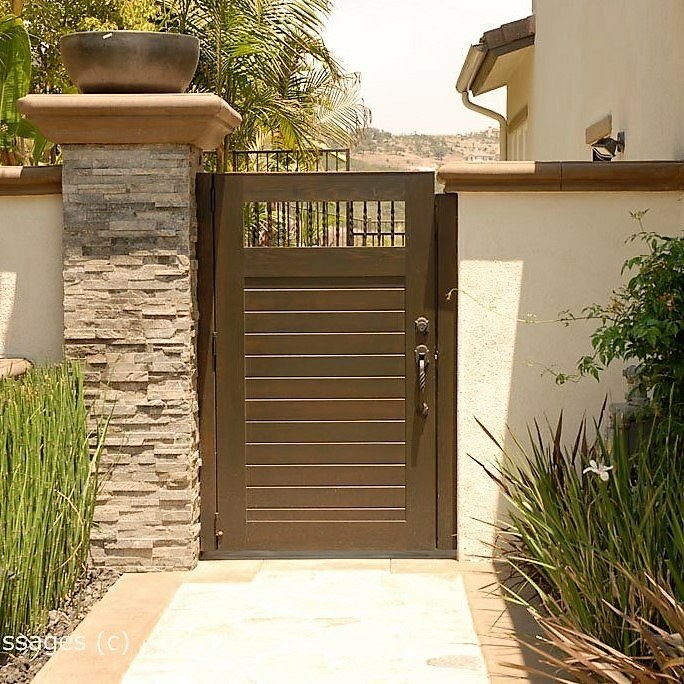 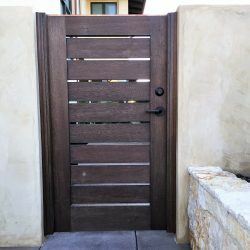 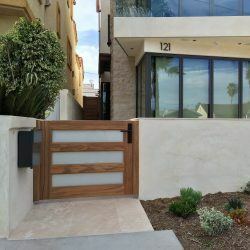 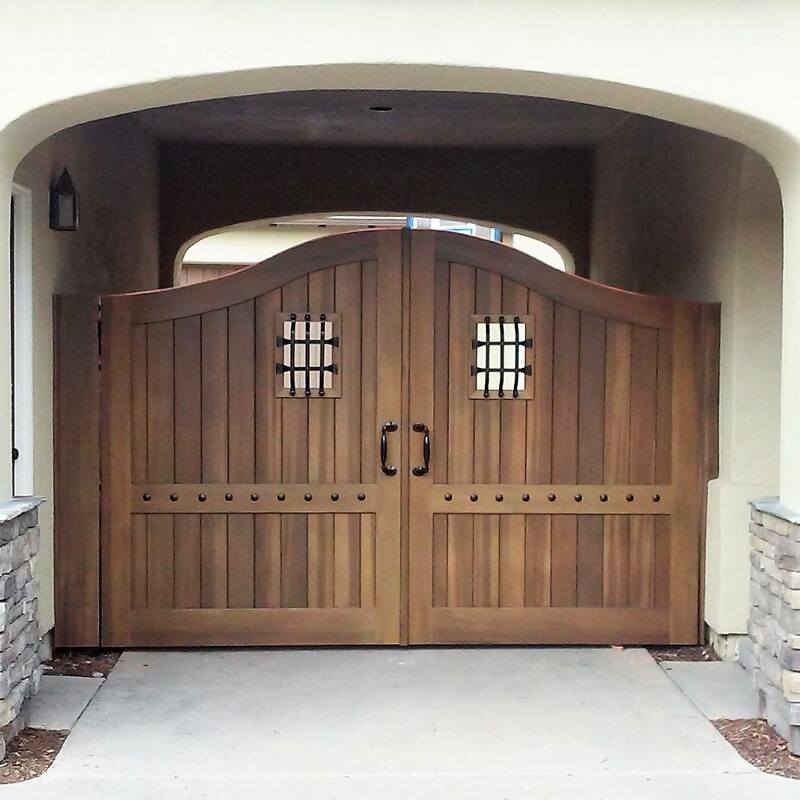 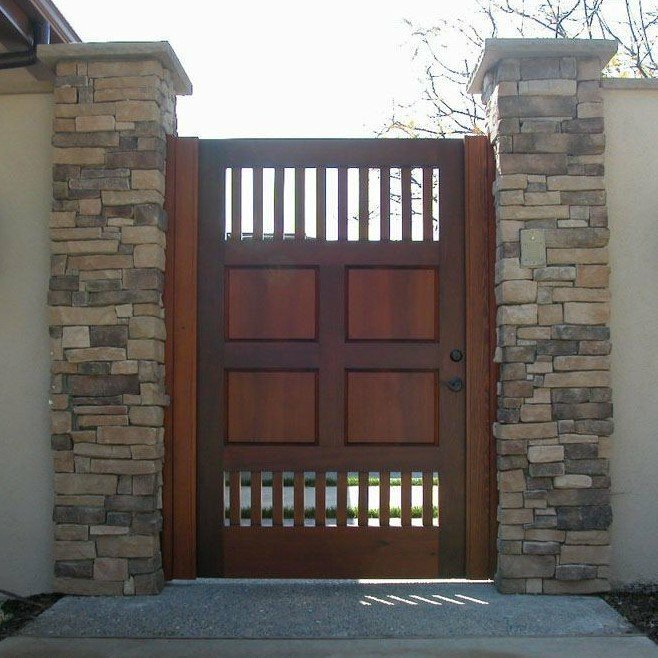 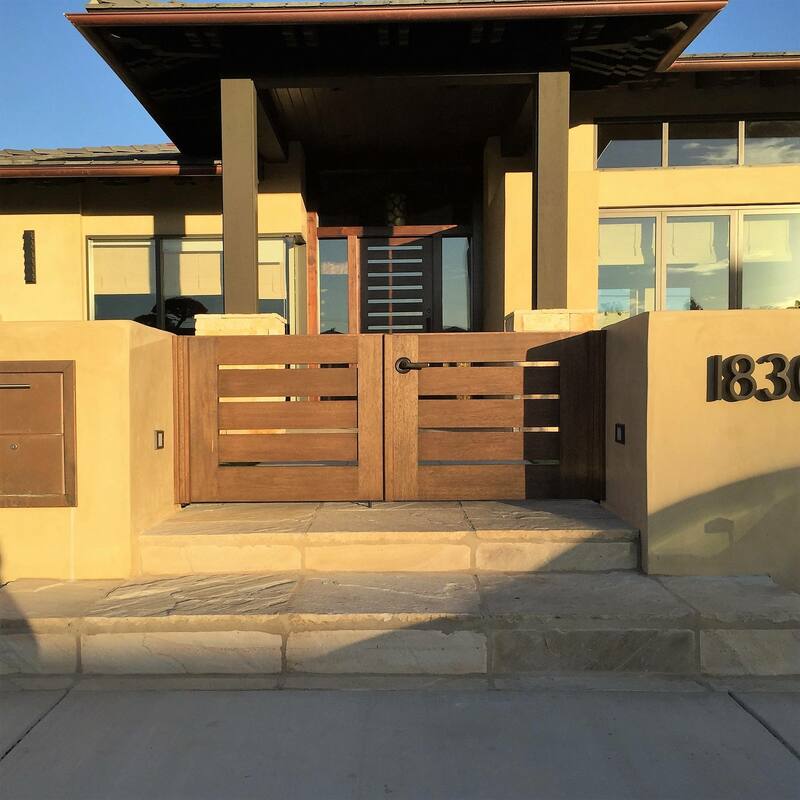 When ordered as full service, Premium Wood Gates include design advice and services, on-site measurement and confirmations, planning, installation management and our satisfaction guarantee. 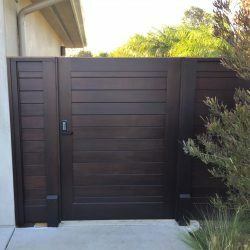 Please note that all premium wood gates are custom built to your specific needs. 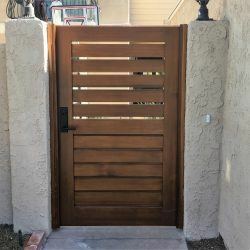 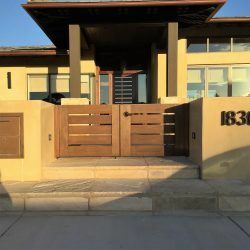 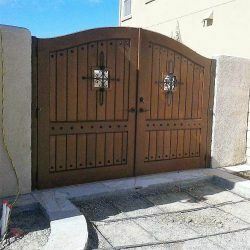 The below images should help provide you with the design ideas and inspiration; however, we can only provide general pricing on these gates over the phone. 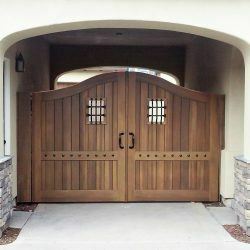 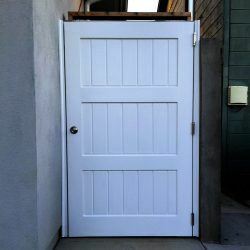 For the most accurate pricing and estimates please make an appointment with our showroom so we can create a premium wood gate for your specific circumstances. 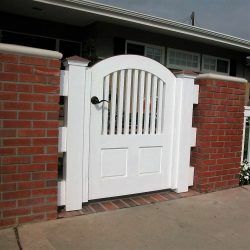 Unlike other companies, all gates shown on our website have been designed and built by Garden Passages. 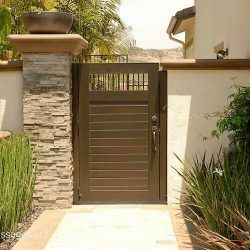 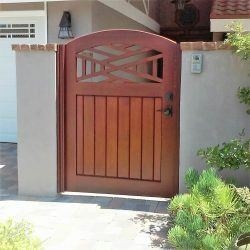 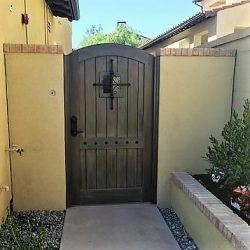 If you are looking for a style of Premium Wood Gate previously listed on this page that is no longer here, please be sure to check our Old Gate Gallery Page. 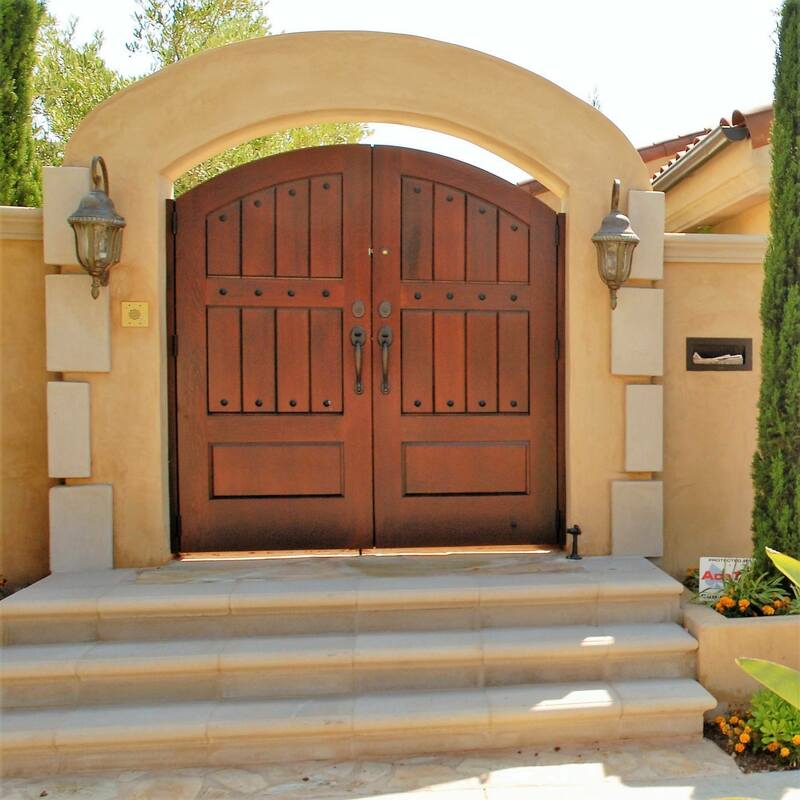 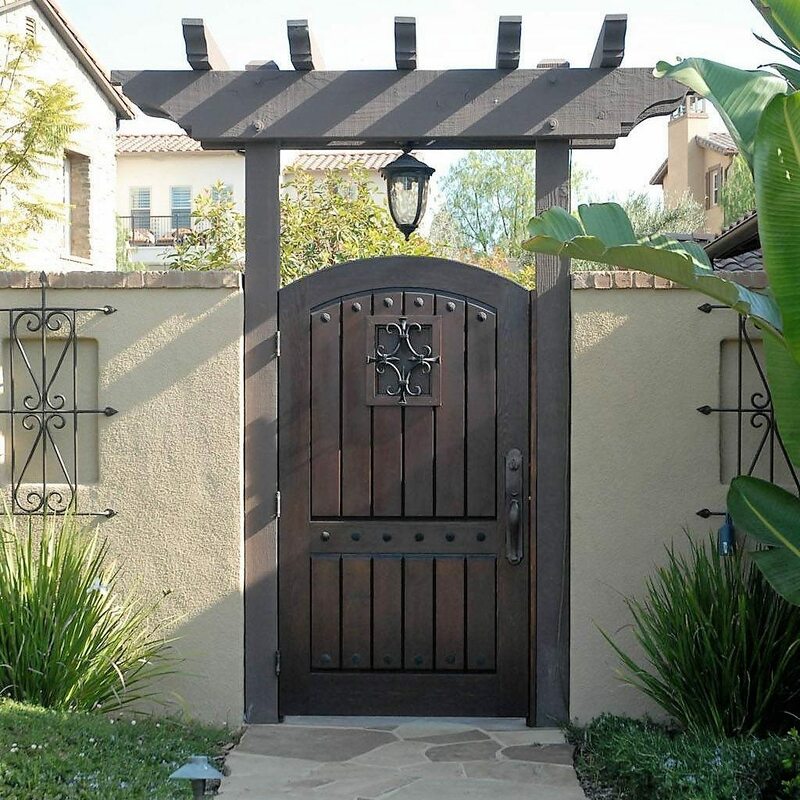 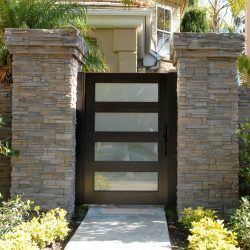 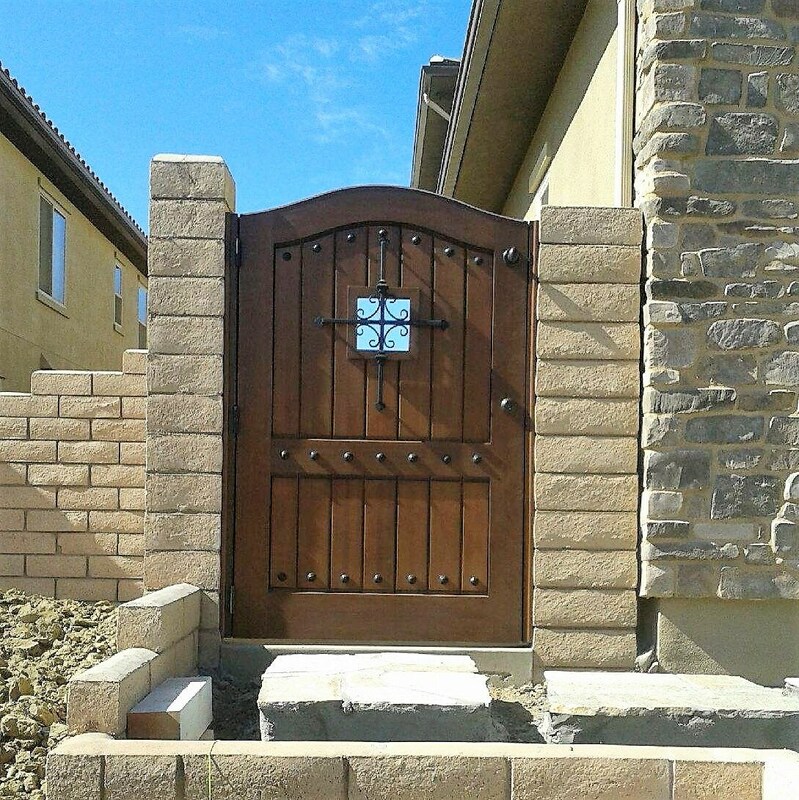 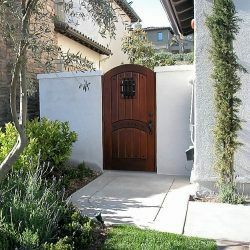 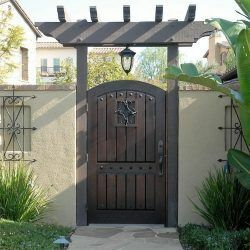 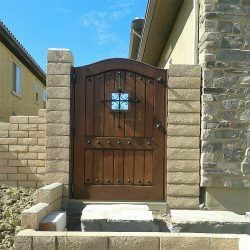 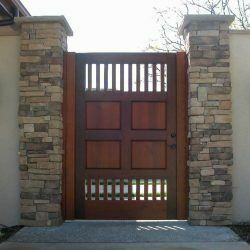 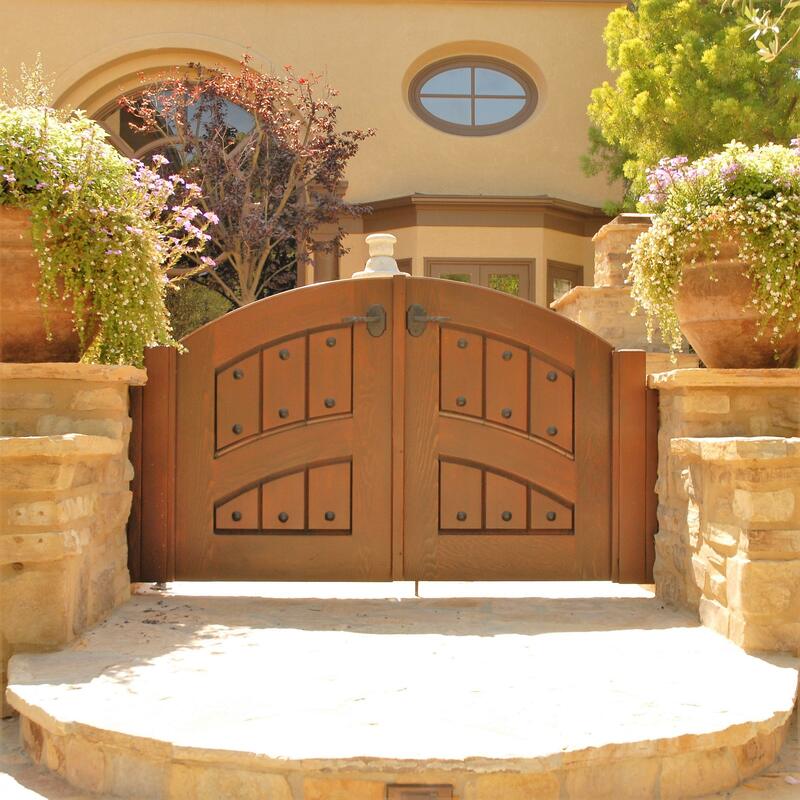 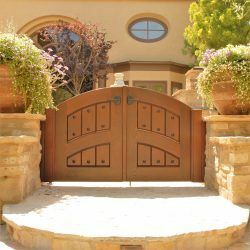 Old World and Tuscan Style Gates typically feature decorative metal accents, rustic finishes and robust framing details. 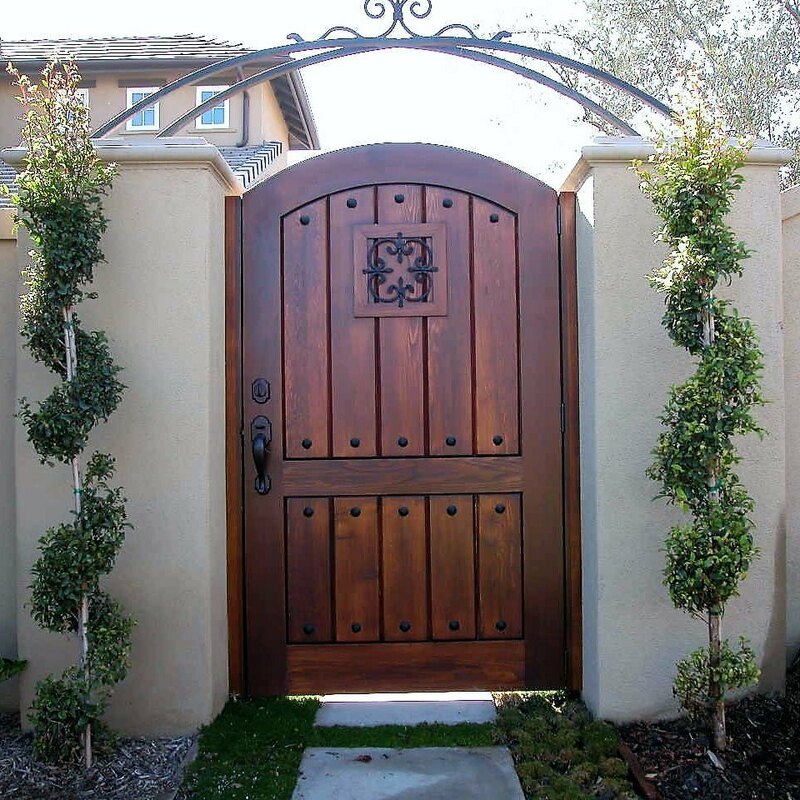 Visit Garden Passages on Pinterest for more examples of Old World & Tuscan Style Gates. 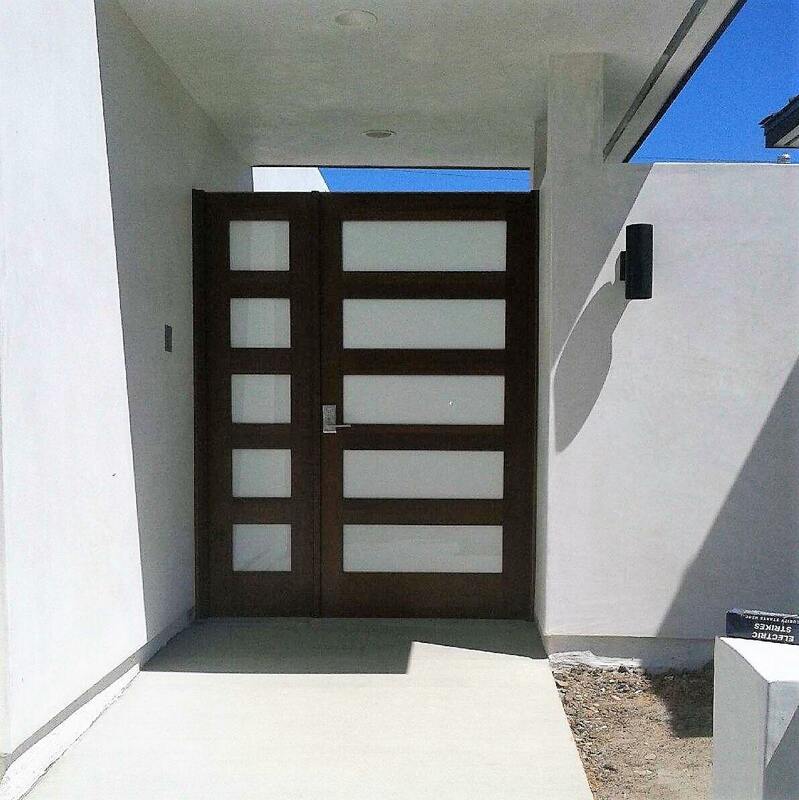 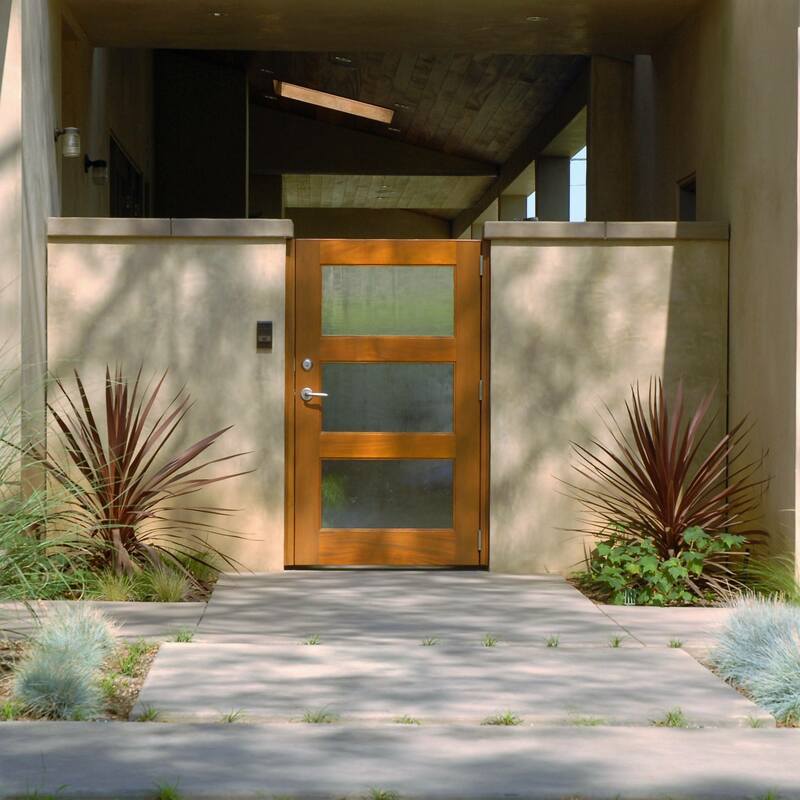 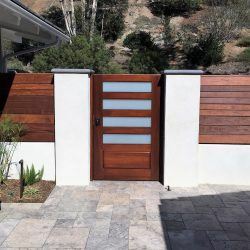 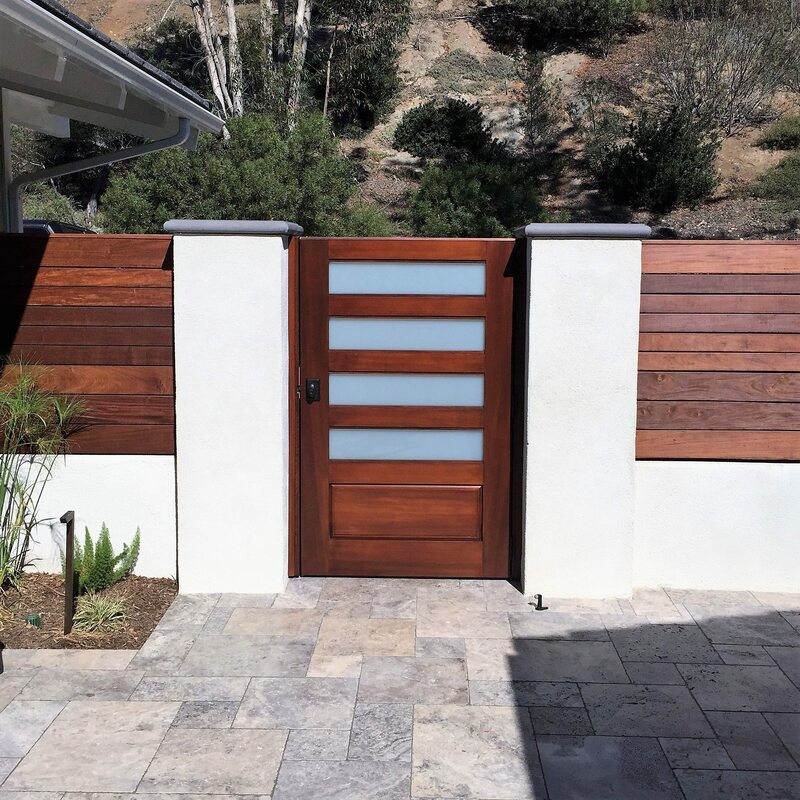 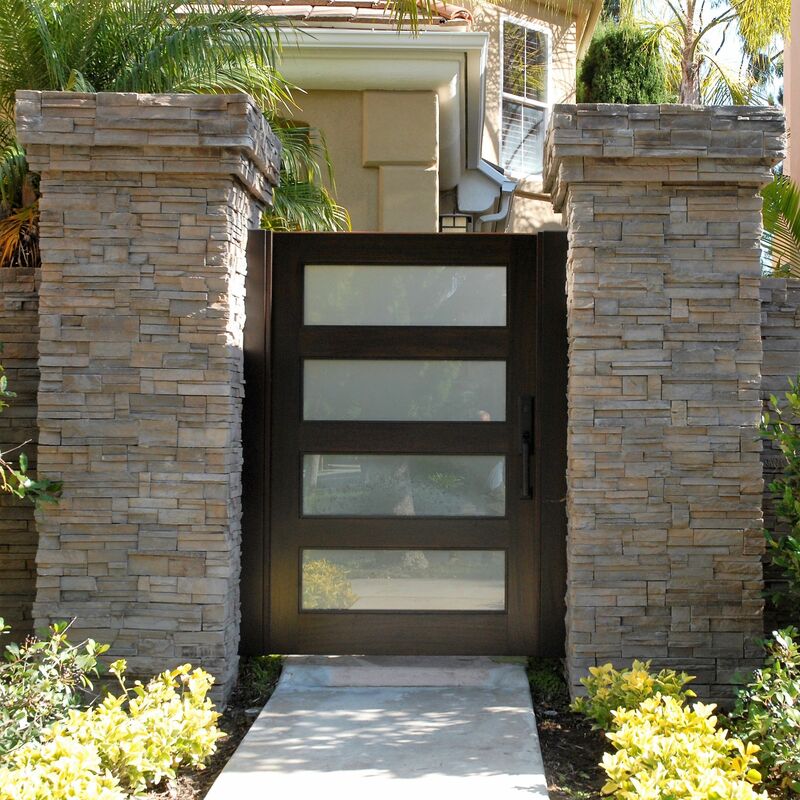 Modern and Contemporary gates are increasing in popularity and often feature clean lines, horizontal bodies, glass and minimal framing. Craftsman and Cottage gates focus on clean lines and wood accents as opposed to decorative metal and flashy hardware. 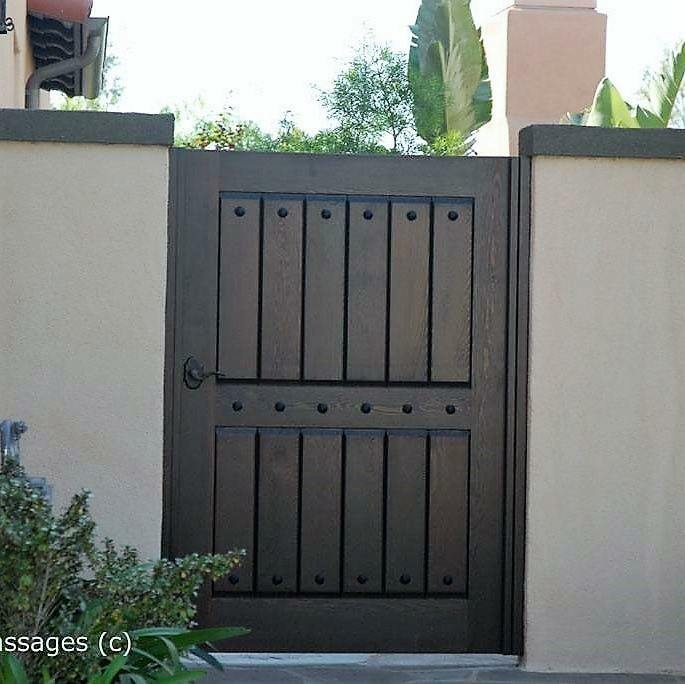 Visit Garden Passages on Pinterest for more examples of Craftsman & Cottage Style Gates. 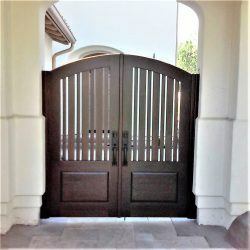 Large openings often require double gates. Garden Passages can create double gates for openings as large as 11′ wide. Wider openings may need special approaches and customization; contact our showroom for more information. Visit Garden Passages on Pinterest for more examples of Double Gates.